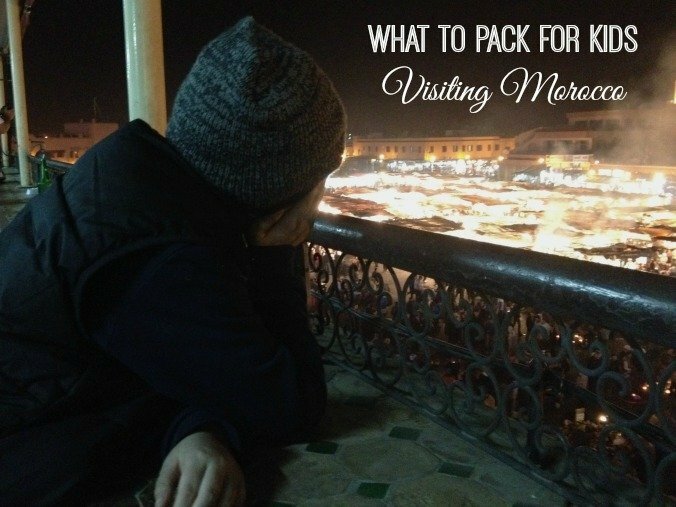 I’ve posted previously on what to pack for women visiting Morocco, and what to pack for men, so that leaves just one group to discuss – children! I’ve found many people don’t think “family destination” when they think of Morocco but that couldn’t be further from the truth. Morocco is a country that not only is welcoming of children, they embrace them! Traveling with kids requires a bit of additional preparation but don’t let that scare you away. Clothing that can be layered. Daytime temperatures can get quite hot, even in the spring but drop 30-40 degrees (farenheit) once the sun sets. A t-shirt or tank top might be perfectly comfortable at mid-day but a cardigan or light jacket may be needed by evening. For Boys: A baseball hat or sun hat. t-shirts, 1-2 light weight long sleeve shirts or button up shirts, a medium weight hoodie or sweatshirt, a heavier jacket – weight depending on season, lightweight pants, elastic waist pants for comfort, pajamas, socks, and underwear. For Girls: A hat to protect face and neck from the sun, leggings and/or light weight pants, sun dresses or maxi dresses, cardigan, medium weight hoodie or sweatshirt, a heavier jacket – weight depending on season, pajamas, socks, and underwear. Bathing suit and plastic flip flops – because you never know when a pool might present itself! Good walking shoes that have been broken in. Nothing is worse than a child who has a new pair of shoes that are hurting. Nothing. Children’s shampoo. I always pack kid’s “tear free” shampoo that I also double as body wash.
A reusable water bottle. We purchase large bottles of water (1 liter+) so having a smaller bottle on hand makes it easy to give children an easy-to-handle container. Snacks. If you have picky kids this is especially important. Small, light items like granola bars and nut butter packs take up little space and can be a lifesaver. Electronics converters if you’re traveling with anything that does not have European (220) voltage plugs. Toys that are non-tech. What happens when the batteries die and you’re hours from the closest re-charge? Cards, paper, pens, and stickers are just a few suggestions. If your child has allergies to food or medication, an alert bracelet is worth considering. If possible, one that is pictoral (like these) and has the allergy name in French if possible. Over the counter medication kit. Pharmacies in Morocco may not carry the brands and dosages that your child is used to. Packing an emergency kit will help you avoid any issues. You never know when your child will get sick, and if the pharmacy will even be open. Things like ibuprofen are not available in stores in Morocco, you get medications from the pharmacy. Many other things such as antibiotics are available from pharmacies without a doctor’s prescription. A stroller; you’ll need to decide between an umbrella stroller or a stroller made for uneven terrain. An umbrella stroller will be easier to get around crowded streets while a stronger stroller may hold up to the bumps and uneven surfaces better. I’ve used both and have found both helpful. A car seat. If you plan to rent a private vehicle or have a driver bringing a car seat is not a bad idea. They are not so easy to find in Morocco and the quality not that good. The majority of people here do not use car seats for children or babies. Don’t be surprised to see women riding on motorcycles with a baby tied on her back or a child sitting between her and the driver. Teething rings/toys/formula/breast pump – I’ve made this a catch all category. Formula is available here but it may not be the brand your child is used to. Breastfeeding is widely supported and encouraged, you’ll face no issues when doing so. Journaling supplies – a new notebook, drawing pencils etc. will keep your child busy and encourage them to record their adventure. A coin purse with some local currency for souvenirs. Help them learn about budgeting and tracking their own money (adjust amount based on age/maturity). A day pack in a size that they can realistically carry for the day. I know you mentioned that an umbrella stroller or a more rugged stroller both work, which do you recommend? I have jogging stroller and umbrella stroller and I’m not sure if the jogging stroller will just get in the way! We are staying in the medina in Marrakech and then going to the Atlas mountains for two nights in November. Thanks! Honestly, I think an umbrella stroller is way easier in the city. In the Atlas Mountains I don’t see how you would even use a stroller but would opt for a body carrier instead. We went to Morocco last June, with our 3.5 years old son. I found Moroccans to be great with him, he made loads of friendships either with other kids and adults alike. They hugged him and kiss him a lot, showed a lot of love towards him. We went on a 4 days tour towards the desert from MArrakech, although we made over 1200km in 4 days, he never had a tantrum and suprisingly he enjoyed a lottttt his time in Merzouga and the desert. When we were back in Marrakech we took a nice hotel with a big swimminpool in Gueliz (the new city) and yes, having tried a riad inside the medina, I feel like he had way more a great time in the hotel in Gueliz, big garden, quiet zone, and plenty of kids.. 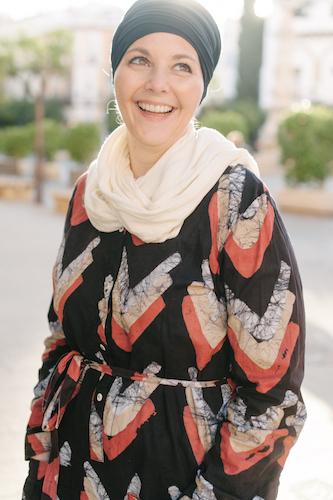 Overall we enjoyed out trip in Morocco and always felt safe and loved and also we felt (being from a mediterranean country) to be very similar to Moroccans, so, no shock at all, instead we felt more at home there, than in the North european country where we now live…..
Great advice and happy to hear you had a positive experience! We visited Morocco last summer with 10 kids age 7-13 (not all ours!). All of the families agreed that we didn’t want the kids to use the wifi or they’d spend the whole time on social media, so their use of electronics was pretty limited. I always bring beach balls which can start up an impromptu game with whoever’s around – and wiki sticks are good for sharing with new friends. We also brought a soccer ball and a paddleball game, plus some card games and other small games. And a necessity that we always pack…Fiber Gummies. Everyone gets the dreaded zhareeya and our pediatrician recommended extra fiber – apparently it works to regulate digestion regardless of whether the problem is too much pooping or not enough. I don’t have kids, but once I have one or two, I will follow your advice!